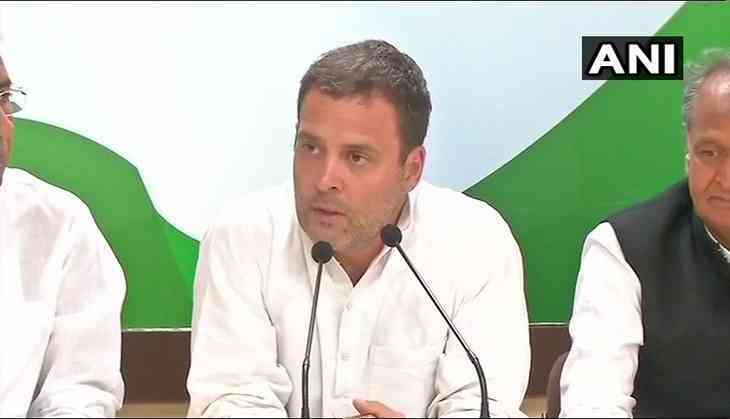 A day after Finance Minister Arun Jaitley announced a Rs 2.50 reduction in the prices of fuel, Congress President Rahul Gandhi once again called for the inclusion of petrol and diesel under the ambit of the Goods and Services Tax (GST). In a tweet addressed to Prime Minister Narendra Modi, Rahul said the common man was badly affected by the skyrocketing prices of fuel, and therefore urged the former to bring petroleum products under the GST to provide some respite to citizens. Fuel prices have been witnessing an upward trend for the last few weeks, burning a hole in people's pockets. In Mumbai, petrol rates had breached Rs 90 per litre mark. In the wake of the skyrocketing fuel prices, Jaitley, while addressing the media on Thursday, announced a cut of Rs 2.50 per litre on both petrol and diesel, and directed the state governments to implement the same.